Introduced by Peter Loos, this extraordinary native, evergreen, pure-white form of Phlox pilosa has wonderfully textured needle-like green foliage. 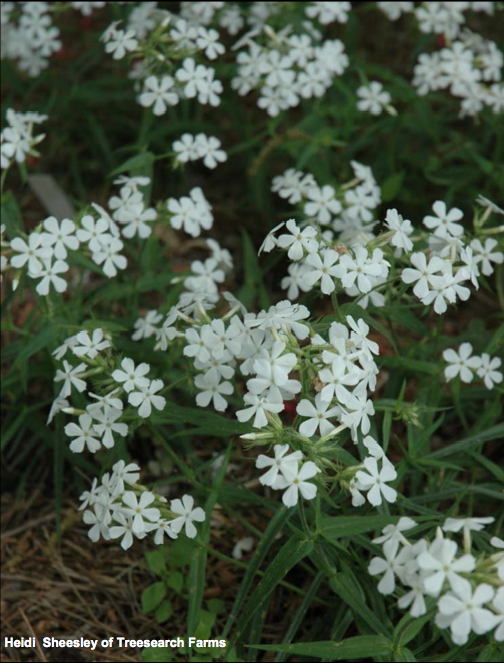 Forms a beautiful carpet of showy clusters of white star-shaped flowers each spring. Beautiful when planted in drifts. Averages 6-8 tall in bloom. 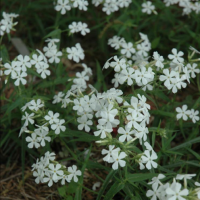 Thrives in moist, fertile soil in light shade.